An easy recipe with only 3 ingredients is the perfect weeknight dish! Combine cream of mushroom soup and beef broth with a quality rump roast in your slow cooker and cook on low until the meat is tender and falling apart. Serve with roasted root vegetables and a glass of red wine for the ultimate in comfort food. 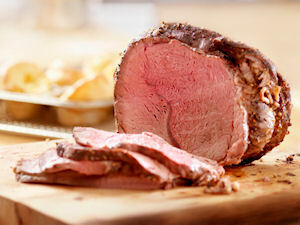 Place rump roast in slow cooker. Pour condensed cream of soup and condensed beef broth. Cook on low for 8-10 hours or until tender.